ROING, Feb 2: The celebration of Reh, the three-day major festival of the Idu-Mishmis, commenced with much pomp and gaiety in Lower Dibang Valley (LDV) and Dibang Valley districts on Friday. In LDV, the central Reh celebration (CRC) is being organized by an all-women team under the aegis of the Idu Mishmi Cultural and Literary Society (IMCLS), with the theme ‘Beti bachao beti parao’, at the central Rehko in Cheta here. The Igu (shaman) performing the Reh rites during the festival is also a female. This initiative of the IMCLS to constitute an all-women team as the CRC committee has been appreciated by many and could be the first time in the history of any festival celebration in the state. In her address, Sahitya Akademi awardee Mamang Dai commended the initiative of the IMCLS, and lauded the all-women team for organ-ising the festival in a grand manner. “Women play the most important role in promoting and preserving our traditional cultures. A woman passes on lullabies, songs, stories, art of food and textile,” she said. Dai said culture is not stagnant and keeps on evolving. “It is important to be very careful how to move our culture, keeping the connection with our ancient past and moving towards the future,” she added. The official website of the Idu Mishmi Cultural and Literary Society was also launched by Dai during the programme. She also launched the Reh souvenir. 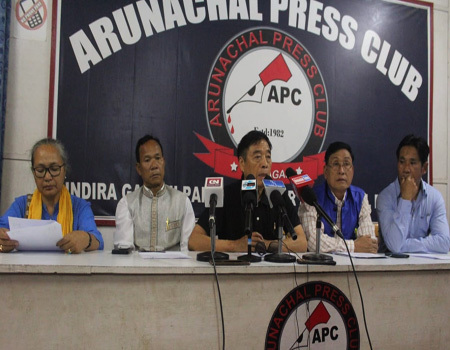 Spokesperson of the Arunachal Pradesh Women’s Welfare Society (APWWS), Gumri Ringu, while commending the theme of the CRC, said courage and confidence come with education, and that education is the most important key to women’s empowerment. “Gender equality is important. However, it doesn’t mean that women should start forgetting their duties. It also doesn’t mean that men are less important than women. It is about supporting each other and moving forward,” she said. Ringu wished the community good health and prosperity, and appreciated the love and respect shown to the APWWS. Women achievers of the Idu-Mishmi community in various fields were felicitated during the event. Earlier, a procession was taken out by various SHGs of the district, displaying placards and shouting slogans about social evils against women, and about educating the girl child. 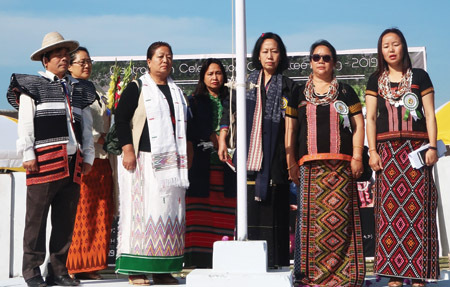 A traditional fashion show depicting women’s position in the Idu-Mishmi society was presented by the women, while many other cultural performances were displayed. DFCSO Mishimbu Miri presented the Reh philosophy. 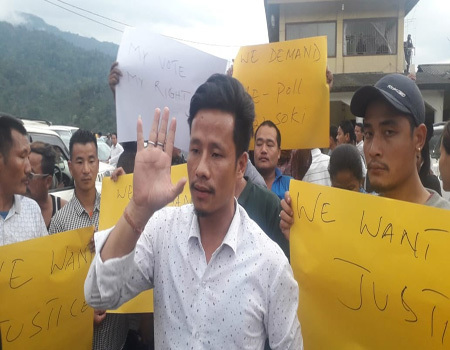 The Arunachal Pradesh State Legal Services Authority also put up a stall offering marriage registration, in coordination with advocates Rukmini Linggi and Bulia Pulu. Jarjum Ete, Deepti Bengia, Kani Nada Maling and Raknu Konya – chief advisor, president, GS and legal coordinator, respectively, of the APWWS – and Everesters Tine Mena and Muri Linggi, MLA Mutchu Mithi, former MP Laeta Umbrey, DC Mitali Namchoom, IMCLS president Ginko Linggi and GS Rao Dele were also present during the celebration.